Adults can help children develop strong language skills by incorporating music into everyday routines and activities. 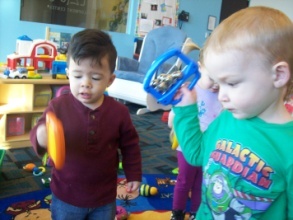 Musical activities can help children develop an awareness of sounds that may help with phonological awareness, or awareness of sounds found in speech. Singing and listening to songs can give children an opportunity to practice using and listening to words. Musical activities may also enhance children’s language development since they can provide an opportunity for dialogue between teachers and children. 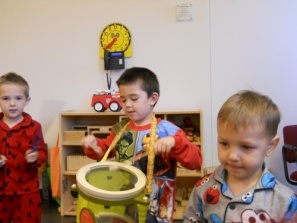 Musical activities are linked with improvements in children’s communication skills. Songs and musical activities have been shown to increase children’s vocabulary. 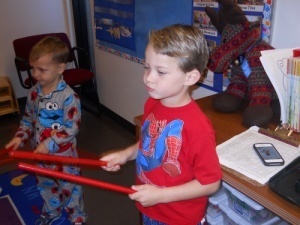 Wirtzies Preschool enjoys doing a variety of activities with music to help with many areas of development.